caliXta DJs and VJs as an independent freelancer and as part of Chicago’s CumbiaSazo crew. Although originally from Chicago, a lot of her formation and scheming around liberation and revolutionary partying started in DC from kickbacks with friends and Maracuyeah and Anthology of Booty queer femme parties. Those gatherings, whether around someone’s coffee table or at a club, became so essential to her life and self-expression. When she moved back to Chicago in 2011, she felt like similar soul-elevating spaces weren’t common in Chicago, and was having a hard time finding spaces to hear some kinds of music she thought were so beautiful and enriching. She helped co-found dále shine with several friends to spin and create a scene for a wide variety of digital Latinx music in Chicago. 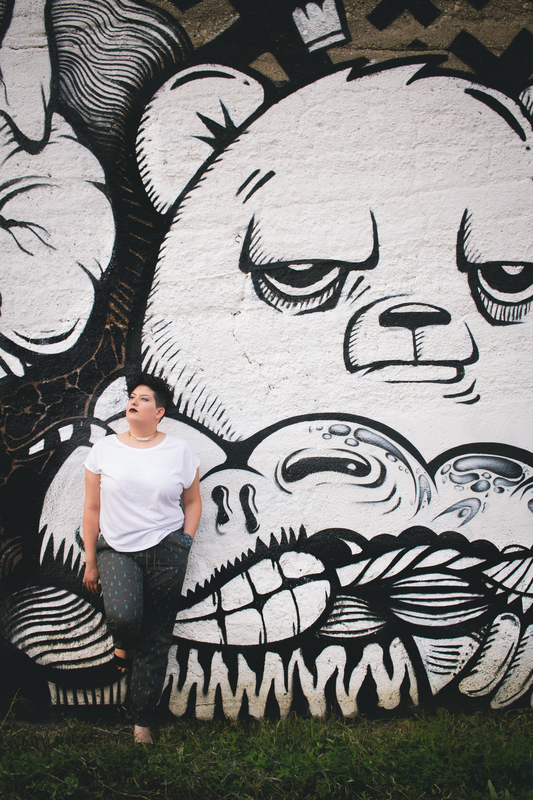 In 2013, she joined the CumbiaSazo crew and found kindred spirits with which she could continue working toward the goal of creating new and communal spaces through art and music. You can find keep up with me, my politics and thoughts by visiting my blog. Thanks to all the organizers, crew and collaborators I have been able to work with to VJ or DJ such great events.